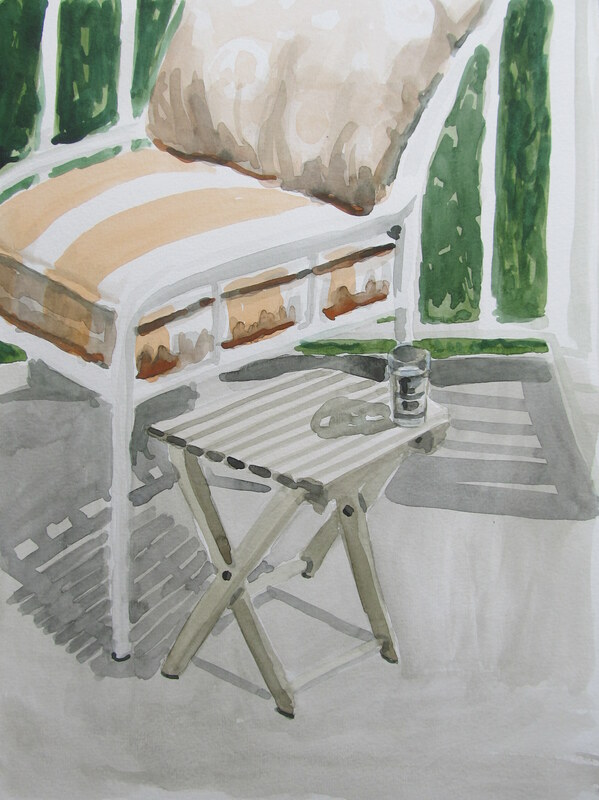 Watercolour Wednesday — On the Deck. I spent all Tuesday morning on the deck. It was glorious. Finally a day where we had nowhere to be. My daughter took the photo of me with the finished painting. 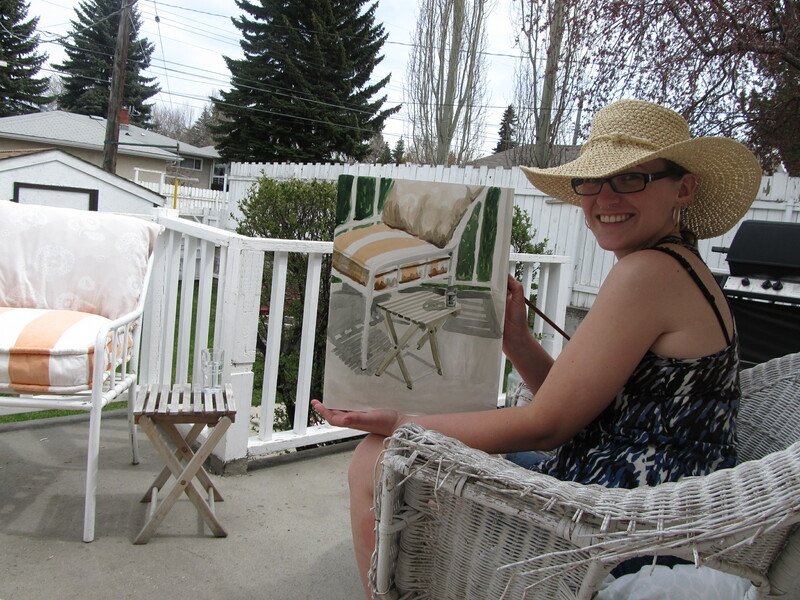 In fact, she told me when the painting was finished and that I needed to stop painting so she could take the picture. What an eye she has! ← Watercolour Wednesday — Cut crystal glass. looks like a great day! I envy your yardspace…..nice chillaxin’ painting too. Nice painting Dayna! The deck looks great too, make me want to come over and paint with you!